An apparently desperate prison officer was caught last Thursday evening trying to smuggle marijuana into his workplace, by wedging it between his buttocks, highlighting the extent to which individuals would go to smuggle drugs into the prison. Ryan Rowland, 27, appeared before Chief Magistrate Ann Marie Smith on Tuesday, and pleaded not guilty to one count of possession of a controlled drug with intent to supply to another for the purpose of drug trafficking. He was released on bail of $1,000 plus one surety in the same amount, and is scheduled to return to court on June 26. The allegations are that on April 17, 2014, last Thursday, the prison officer was busted at work trying to smuggle 55 grams of cannabis into the Kolbe-managed Belize Central Prison. 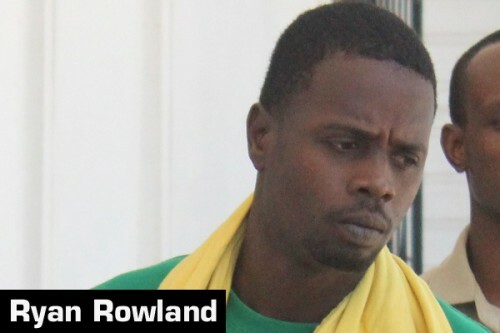 When offering Rowland bail, the Chief Magistrate stipulated that he was not to go near the prison. But Rowland, who appeared unrepresented, told her that he would not be able to abide by that condition because he is still employed at the prison as a prison officer. He, however, was ordered to report every Monday to the Hattieville Police Station between 7:00 a.m. and 7:00 p.m. According to prison officials, last week Thursday, April 17, Rowland reported to work as per usual, and they conducted a routine check on him. During the search he was found with a plastic bag between his buttocks. The bag contained suspected cannabis. When it was weighed in his presence, it amounted to 55 grams.